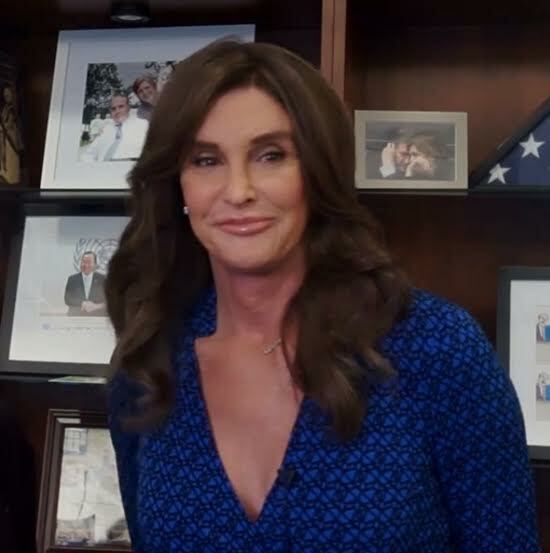 Since her big reveal, Caitlyn Jenner has been making some major debuts. After first coming out and talking about her transition, she did a major interview with Diane Sawyer. Once Jenner had made her transition, she came out with her own reality show, “I Am Cait.” Last month, she announced she would be co-writing a memoir with Vanity Fair’s Pulitzer Prize-winning editor, Buzz Bissinger. And this month, Jenner follows in the footsteps of her children and ex-wife, creating her own beauty line. Caitlyn Jenner is starting her make-up line and is writing a book, following in the rest of the Kardashian clan family. PHOTO VIA WIKIMEDIA COMMONS. E! News confirmed Thursday that Jenner filed a trademark in her name for a cosmetics line. According to TMZ, she is looking create a beauty line that extends beyond just makeup. Jenner, in addition to a makeup line, plans to produce fragrances, nail polish, makeup remover and skincare products. None of Jenner’s ideas are set in stone, but she filed the trademark so she can develop her ideas before someone else does. As many in the public may or may not have noticed, Jenner is very focused on appearance, and part of her coming out was very looks-driven. Some view this negatively, but to Jenner, appearance plays a huge role in how she feels as a new woman. According to an article by Buzz Bissinger in Vanity Fair, her biggest concern was actually looking like a woman — she didn’t want to appear as a man in drag. The looks are crucial in terms of acceptance, in addition to getting the public to take Jenner seriously while embarking on her new life. Recently, Jenner’s daughter Kylie came out with her own lip kit line, which sold out in seconds. Jenner’s other daughters have already established themselves in the industry with their various lifestyle brands. The Kardashian sisters have been shaping the public for years with their fashion style, various appearances and overall charisma. Now that Jenner has transitioned, I think she is trying to catch up. Her daughters and ex-wife are major public figures, and now that she feels comfortable in her own body, I think she wants to make a name for herself too. Bruce Jenner will always be remembered as one of the world’s greatest athletes, but now Caitlyn Jenner wants to shape her identity. It seems that Jenner wants no part of her old self to be associated with her new life. While there will always be hesitations and issues among the public in terms of acceptance, Jenner is doing what she can to change and build her new life. I think personal acceptance is key, and after years of hiding from her true self, Jenner has found a way to accept who she is. This is a major step in her life, and now her new initiatives to share elements of herself are key to gaining public understanding as well. I think Jenner is not only trying to catch up with her family, but she is trying to prove her new identity to the public. By doing interviews, filming a show, writing a memoir and starting a beauty line, she is making an effort to help people understand and begin to better accept diversity. While some elements of her initiatives seems superficial, I think in her heart, she is trying to do something good not only for herself but for others who have dealt with similar issues. Jenner is bringing acceptance to herself and to the transgender community, who deserve the same respect and appreciation as every other person on this earth.